Earlier, I wrote that I would post the details of my trip. I'll just post bits and pieces from time to time. One of the last places we visited was up on Missionary Ridge. 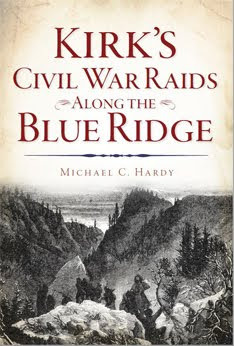 While I have been to Chickamauga and Point Lookout several times, I had never ventured up on Missionary Ridge. The Ranger working in the small cubicle (he was very glad that the visitor center at Point Park was re-opening that weekend) showed me where the 58th and 60th NCT's position was and where their marker should be. The photo copy of the marker descriptionstates that the marker for Reynold's brigade was, on "02/10/64 - In storage at Utility area, moved for new highway." and beside that inpencil "I24" So, when they were building Interstate 24 in the 1960s, the marker for Reynold's brigade had been moved. The Ranger gave me a wide swath of area to cover in my search. So off we went. The route is not well marked, and after about half an hour, we were able to find the "Sherman Reservation" and able to start on the north end of the ridge. We worked our way south, looking for the marker. There are plenty of markers for different Confederate and Union brigades along Crest Road. All most all of these are set in the front yards of some rather nice homes. A few of the markers have been set into brick retaining walls. I do recall seeing a lady working in her flowers, while on her front lawn, just feet from her front door, was a pair of cannons. We had driven for a while, crossing over I-24, and arrived at the Bragg Reservation. This was the headquarters for General Bragg duringthe battle. I knew from my research that portions of Reynold's command retreated to the area of Bragg's headquarters as they fell back up the ridge to their assigned position. So, I knew that I was close. I got outof the car, and made my way around the little park, exploring each marker. After about 15 minutes, I came to the realization that the marker was not at the Bragg Reservation. I walked to the northern end of the park and there was I-24. I returned to the car and started to retrace theroute. I had seen the marker for Finley's brigade earlier, and I knew that Reynolds was near the Floridians. As we headed north again, we rounded a curve, and there was the marker for Reynold's brigade. Coming from the other direction, we had been too busy watching for on-coming cars and had missed the marker. If you are ever looking forthe marker, when you come to a stop sign, you need to turn right to continue on Crest Road. The marker sits to your right as you turn. So, the 58th and 60th NCT's position on the top of Missionary Ridge no longer exists. It was hauled away in the 1960s when they were constructing the interstate. In my next post, we will discuss the marker and what is wrong with it. 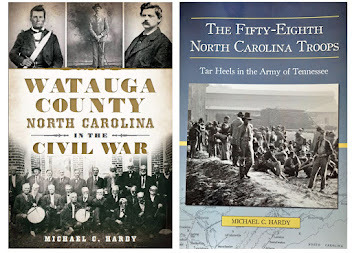 When I was in Raleigh a couple of weeks ago, I was trying to track down a few sources that the publications committee used in producing the entry on 58th North Carolina in volume 14 of the troop books. I had a chance to meet some fine folks that afternoon as I bounced from department to department. At one point, one of the historians connected with the troop book project asked me what was going to be different about my book on the 58th NCT, in comparison with what was in the troop books. I had to think for a couple of moments, but the answer is simple: I have available to me quite a few more resources than the folks in Raleigh. That’s not to say that the folks in Raleigh don’t have great resources. They do. And I have made repeated trips to our state’s capital to exploit those resources. So how is my book on the 58th NCT going to differ from the account that is in the troop book? The answer is simple: crowdsurfing. Until today, when I was going through my blog list, I did not know that the term "crowdsurfing" referred to anything other than the stunt sometimes performed at concerts, especially the kind I attended when I was younger. I found a link on Paul Taylor’s blog, With Sword and Pen, to an article that recently appeared in the Boston Globe. I’ve been crowdsurfing, in the literary sense for quite some time. I did it with my book on the 37th NCT, aa well as with the 58th NCT. How did I crowdsurf and what impact did it have? There were 2,000 men plus who served in both the 37th NCT and the 58th NCT. I created an alphabetical list, and then posted each name in an online genealogical database, like www.genforum.com. Yes, it takes a considerable amount of time to get all those names posted. The reward, however, is well worth the time invested. Unpublished or seldom seen letters, diaries, photographs, and post-war reminisces have been sent to me. Almost all of these items are rather unknown, and had I relied simply upon the materials at archives and libraries, the books would have been incomplete. I’ll give you an example from my work on the 37th NCT. 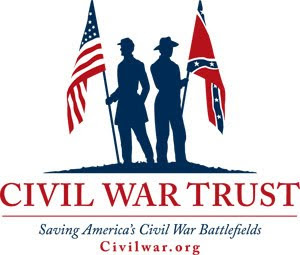 There was a story that came to me regarding one member of the 37th NCT telling Stonewall Jackson "I wouldn't go in there now. Its too dark, and your men may take you for the enemy and shoot you." Great story! However, what member of Lane’s brigade would not have wanted to repeat those words to Jackson? The speaker was Thomas Lowery of Company D. After doing some further research, I discovered that Lowery was acting second sergeant of Company D, and that Company D occupied the position of second company during the Chancellorsville battle. The second company is the furthest company to the left of the regiment, and Lowery, being second sergeant, would have ben post on the left of the company. The 37th NCT’s left rested on the Orange Plank Road. If Jackson rode out along the Orange Plank Road that evening, then no one was in a better position to tell Jackson not to ride out there in between the lines than Lowery. Crowdsurfing - check it out. If you are writing a regimental history, it is a tool that is indispensable. 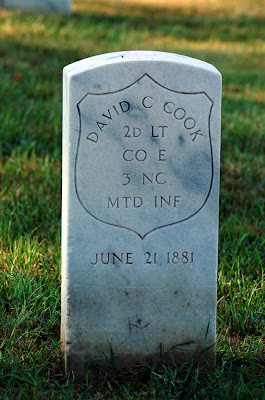 In honor of Memorial Day, here is a photograph of the grave of David Cook, buried in the National Cemetery in Knoxville, Tennessee. This might have been the same David Cook who served as a private in Company B, 37th North Carolina Troops. The monument had Sgt. Maj. Inglis’s name twice, once as James Inglish, and the second time as James English, neither of which are correct. Oh well, at least I now know where he is buried. This is just one more small piece of the puzzle. Well, I am back at home from a very long week. I had every intention of blogging while I was gone, but I never once pulled ye olde laptop from my bag. Here is a recap: I was in Raleigh on Friday and Saturday, doing research and attending the flag program. I came back Saturday afternoon and spent Saturday evening at home. Sunday morning, we re-packed the car and headed to Central, South Carolina, for a re-enactment, where we met my mom and dad. Saturday afternoon, we headed to Red Top Mountain State Park, where we set up "camp" in my parents’ motor coach. Monday morning was spent at the Southern Museum of Civil War and Locomotive History, home of the famous engine, The General . Monday afternoon we tramped the battlefields of Kenasaw and Kolb’s Farm, (and the cemetery in Marietta) working on the book on the 58th NCT. Tuesday, we covered Reseca and Dalton. Wednesday, I was back in Dalton, then a quick trip to Chickamauga. We spent more time at Lookout Mountain and on Missionary Ridge - we thought we would never find the iron tablet for Reynolds’s brigade at Chickamauga. I’ll post more when I get pictures downloaded and my notes out of the car. Things are a bit fuzzy right now. As a writer, I have several special events that hold an important place in my life, like the publication of my first article, the publication of my first book, winning the Willie Parker Peace Book Award (twice), and speaking at the CWPT’s annual conference last year. Today, I added another one to that last. For the past couple of weeks, I have mentioned a special program that I was attending at the North Carolina Museum of History. It is 10:30 pm, Saturday evening; I just returned. Today, I had the opportunity to present/unveil the battle flag of the 37th North Carolina Troops. 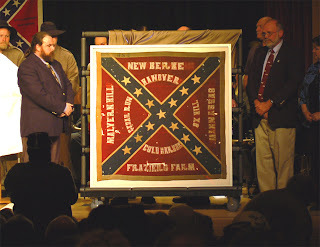 The flag of the 37th NCT, along with the Gettysburg flag of the 26th NCT, and the coat, belt, and sword of Maj. Gen. Bryan Grimes, has been loaned to the NCMOH by the Museum of the Confederacy. Yesterday, my family drove to Raleigh. I spent the afternoon tracking down some letters by a member of the 58th NCT. I also had a chance to chat for a few minutes with Tom Belton, Curator at the NCMOH. We then spent Friday evening with Col. Skip Smith, of the 26th NCT, and his family. On Saturday morning, I arrived at the museum a little after 10:00 am. I set up some of my books on the table and began talking to folks as they arrived. Around 12:30 pm, the program began, with music being provided by both the 26th NCT’s brass band, and fife and drum corps (field music). We then made our way into the auditorium. I spoke close to the beginning of the program, and, along with Mr. Belton, unveiled the flag of the 37th NCT. Several others spoke, and we displayed the coat, belt, and sword of Bryan Grimes, and the blood-stained flag of the 26th NCT. It has been a glorious day. Thanks to the 26th NCT for allowing me to participate in this remarkable experience. After I catch my breath a bit, I may post more about the day . The photo at top is the flag of the 37th NCT. The one at the bottom is of the 26th NCT’s. Well folks, I am off to Raleigh for the flag presentation on Saturday. 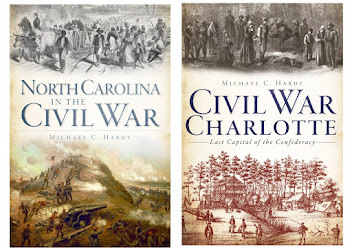 I’ll be at the North Carolina Museum of History most of the morning on Saturday. The program begins at 1:00 pm. If you get a chance, please stop by and say hi. I’ll have complete details and photos when I get back. We are honoring Weary Clyburn in Monroe NC on 7/18 and need help getting the word out to reenactors. We need cannon crews, musicians, period dress. Alas, I'll be in Raleigh. Confederate Memorial Day in North Carolina was this past Saturday (May 10). I was able to visit or participate in services in Yancey, Haywood, and Mitchell Counties. The latter was a candlelight service, honoring the 10 Confederate Veterans in the old Bakersville Cemetery. If you have never had a chance to visit or participate in a candlelight service at a cemetery, let me encourage you to do so. It is a powerful experience. Not all services are held on May 10. 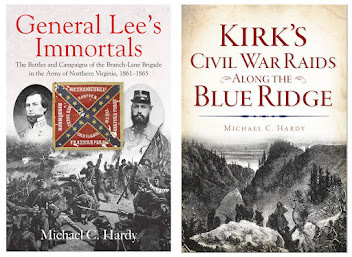 I also had the privilege of speaking at the Confederate Memorial Day program in Stanley County on May 8, and I believe that there will be a service at Elmwood Cemetery in Charlotte on May 18. I don't have as much going on this week as I did last week, but it will be busy nevertheless. 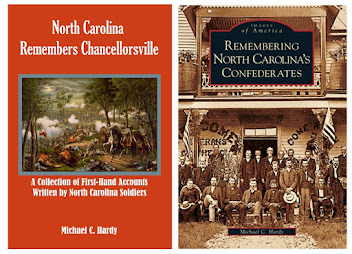 Tonight, I'll be speaking and signing books in Lincolnton. On Friday, I'll be traveling to Raleigh for an event on Saturday. 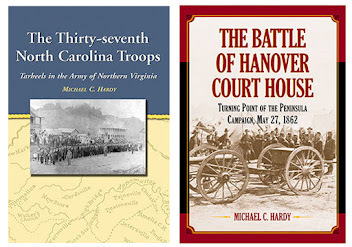 On Saturday, I will be at the Museum of History there in Raleigh. The event: The flags of the 26th NCT and 37th NCT have been returned to North Carolina. I'll be speaking that afternoon, and helping unveil the 37th NCT's battleflag. It is an incredible honor, and I look forward to participating in the event. I will be around the museum most of the day, so, if you get a chance, stop by and say hi! Pvt. 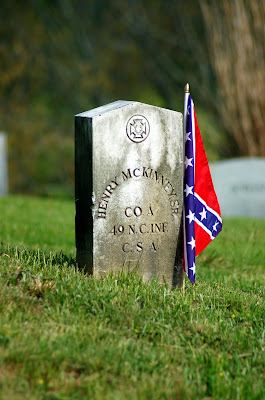 Henry McKinney, Company A, 49th NCT, Yellow Mountain Cemetery, Avery County. 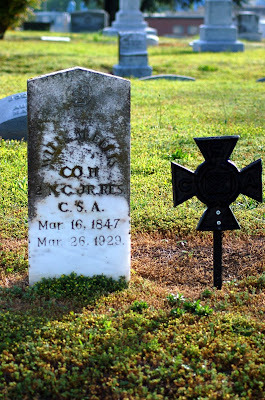 With Confederate Memorial Day in North Carolina this Saturday, and since I’ll be on the road more this week than I’ll be at home, I though I would post some photos of different Confederate graves across the state. This photo was taken in Elmwood Cemetery, Charlotte, Mecklenburg County. Yesterday, I had a chance to visit the grave of Marion Buchanan, a private in Companies B and E, 58th North Carolina Troops. 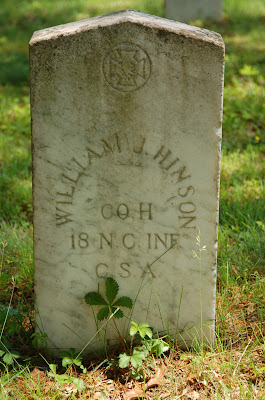 He is buried in a cemetery way up on top of a mountain in western Avery County. 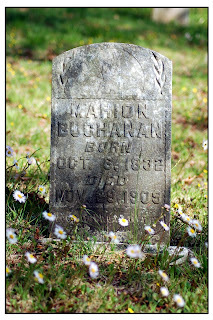 I think the cemetery was called the Will Buchanan Cemetery. It was four-wheel drive access only trip. Thanks to Walt and Pat for the ride. NANCY HANKS TRADITION. For a hundred years a tradition has persisted in these mountains to the effect that between 1803 and 1808 Abraham Enloe came from Rutherford county and settled, first on Soco creek, and afterwards on Oconalufty, about seven miles from Whittier, in what is now Swain county; that he brought with his family a girl whose name was Nancy Hanks; that this girl lived in Enloe's family till after his daughter Nancy ran away with and married a man named Thompson, from Hardin county, Ky. An intimacy had grown up between Nancy Hanks and Abraham Enloe, and a son was born to her, which caused Enloe's wife, whose maiden name had been Edgerton, to suspect that her husband was the father of Nancy's child. Soon after the birth of this child, the tradition relates, Mrs. Nancy Thompson came to visit her parents and on her return to Kentucky or Tennessee took Nancy Hanks and her son with her, much to Mrs. Enloe's relief. Abraham Enloe is said to have been a large, tall, dark man, a horse and slave trader,(14) a justice of the peace and the leading man in his community. 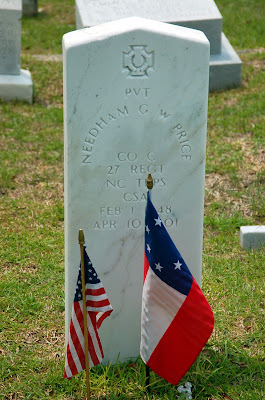 Thus far the tradition as given above is supported by such reputable citizens as the following, most of whom are now dead: Col. Allen T. Davidson, whose sister Celia married into the Enloe family, Captain James W. Terrell, the late Epp Everett of Bryson City, Phillip Dills of Dillsborough, Abraham Battle of Hay wood, Win. H. Conley of Hay wood, Judge Gilmore of Fort Worth, Texas, H. J. Beek of Ocona Lufty, D. K. Collins of Bryson City, Col. W. H. Thomas and the late John D. Mingus, son- in-law of Abraham Enloe. ABRAHAM LINCOLN TELLS OF HIS PARENTAGE. That the child so born to Nancy Hanks on 0cona Lufty was Abraham Lincoln is supported by the alleged statements that in the fall of 1861 a young man named Davis, of Rutherford, had, during the fifties, settled near Springfield, Ill., where he became intimate with Abraham Lincoln and "in a private and confidential talk which he had with Mr. Lincoln, the latter told him that he was of Southern extraction; that his right name was, or ought to have been, Enloe, but that he had always gone by the name of his step-father." 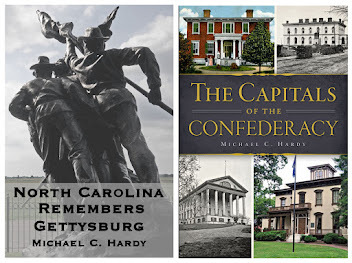 Over at Civil War Interactive, blog editor Laurie Chambliss writes on her weekly review of my site: "An obligatory look at the coverage of the ‘North Carolina Lincoln Birthplace’ story is taken, although no opinion is expressed on the matter." No. I really don’t have an opinion. As I stated before, I would really like to see the DNA testing done to prove or disprove and settle the manner. A good friend of mine recently said on the subject "Maybe we don’t want to claim Lincoln here in North Carolina."